Locomotive No.19 sits outside the Age of Steam Roundhouse backshop. Cranes will arrive to remove No.19 from the flatcar early next week. No.19 in-transit at Morgan Run, Ohio. 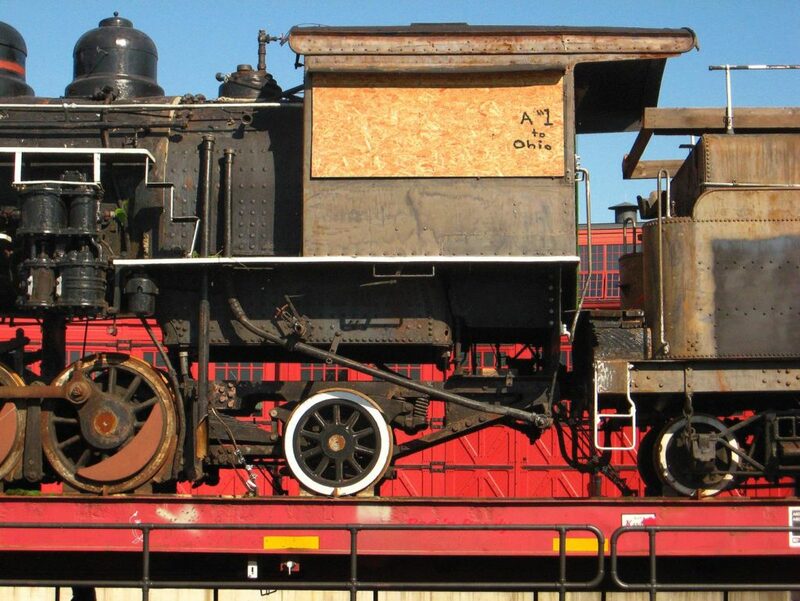 The engine was moved in-train from the Norfolk Southern interchange in Columbus to Morgan Run on Genesee & Wyoming’s Columbus and Ohio River Railroad. No.19 in-transit at a State Route 93 crossing between Morgan Run and Fresno. 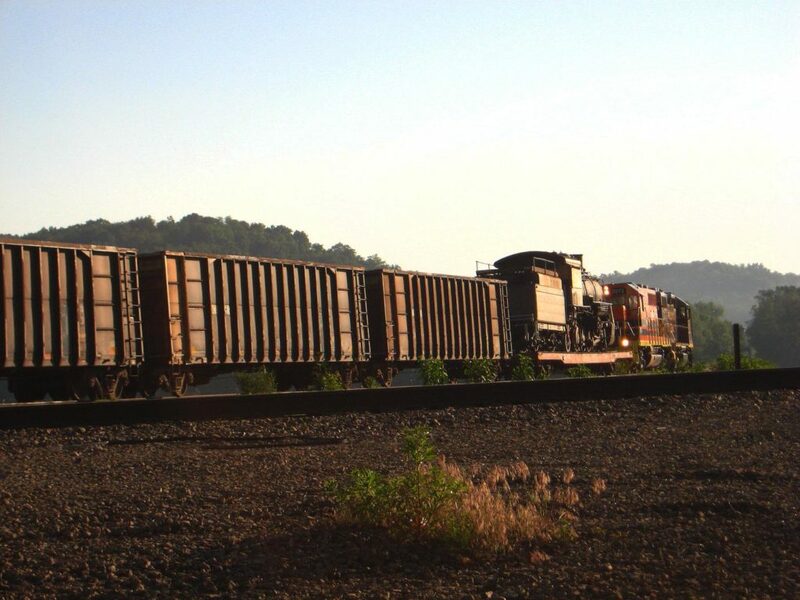 A special train was run from Morgan Run north to Sugarcreek to deliver the locomotive. No.19 in-transit north of Baltic, Ohio along State Route 93. 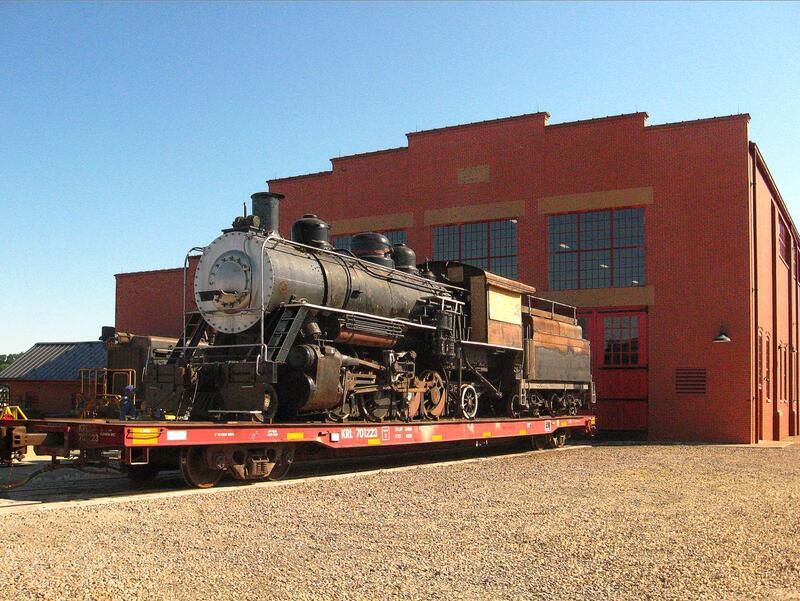 June 2, 2017 – The Age of Steam Roundhouse is pleased to announce the safe arrival today of former Yreka Western 2-8-2 No.19. 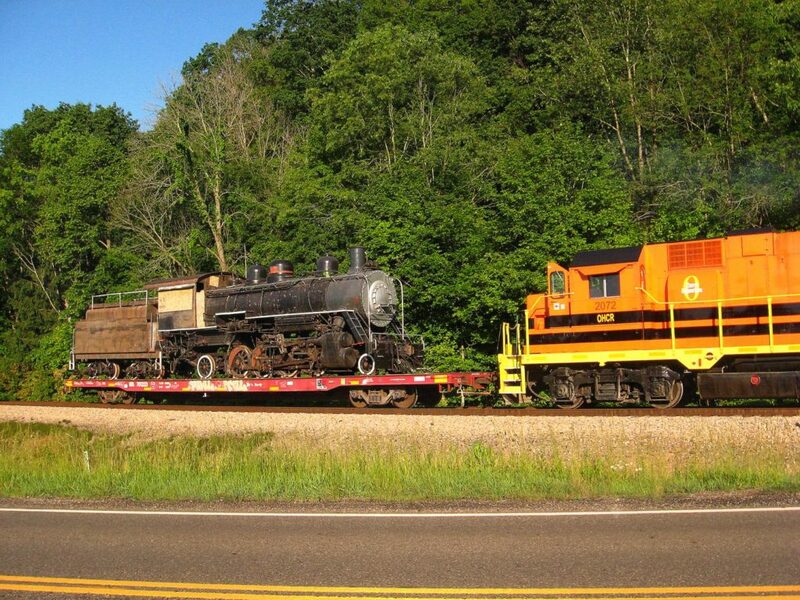 This logging locomotive was moved via a flatcar from California to Sugarcreek, Ohio, arriving in Sugarcreek on June 2, 2017. No.19 is the 19th steamer acquired for the AoSRH collection, joining 28 diesels, two-dozen passenger cars and other artifacts. 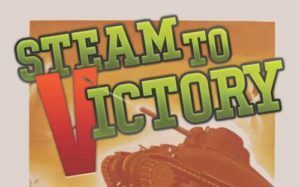 Jerry Joe Jacobson, financier, builder and owner of the Age of Steam Roundhouse project, purchased No.19 during an October 6, 2016, court-ordered sheriff’s sale in the town of Yreka, California. The auction was held to satisfy liens placed by creditors on the 102-year old steamer. Jacobson’s winning bid of $400,000 was placed by Dennis Daugherty, longtime friend and professional associate, who also arranged for No.19’s disassembly, loading and transportation to Ohio. After replacing some missing rails on the Yreka Western line and repairing its diesel, the 2-8-2 and tender were moved on their own wheels 10.2 miles from Yreka to the Central Oregon & Pacific Railroad interchange at Montague. There, the 2-8-2 was pushed to the end of the YW track, and about 100-feet of rails were removed from behind No.19 to construct a loading ramp. On March 13, Mikado No.19 and its tender were shoved up onto the Kasgro Rail Corporation heavy-duty flatcar, securely attached, and on April 3, 2017, began their cross-country journey to Sugarcreek. A 1915 product of the Baldwin Locomotive Works in Philadelphia, this superheated 2-8-2 was constructed as No.4 for the Caddo & Choctaw logging railroad in Arkansas, a subsidiary of the Caddo River Lumber Company. It was the 42,000th locomotive built by Baldwin, and was rolled out of the shop on April 9th wearing a coat of olive green paint on its wheels, tender, domes, pilot and cab (with mineral red-painted roof). This handsome 90-ton 2-8-2 had a planished iron boiler jacket, black smoke box and firebox, and was decorated with gold lettering and striping. Its cab sides carried the name R.L. Rowan for Rufus Lee Rowan, an engineer on the Caddo & Choctaw (who, remarkably, had another steam locomotive named for him, C&C 70-ton No.10, which was constructed by Baldwin during July 1922). 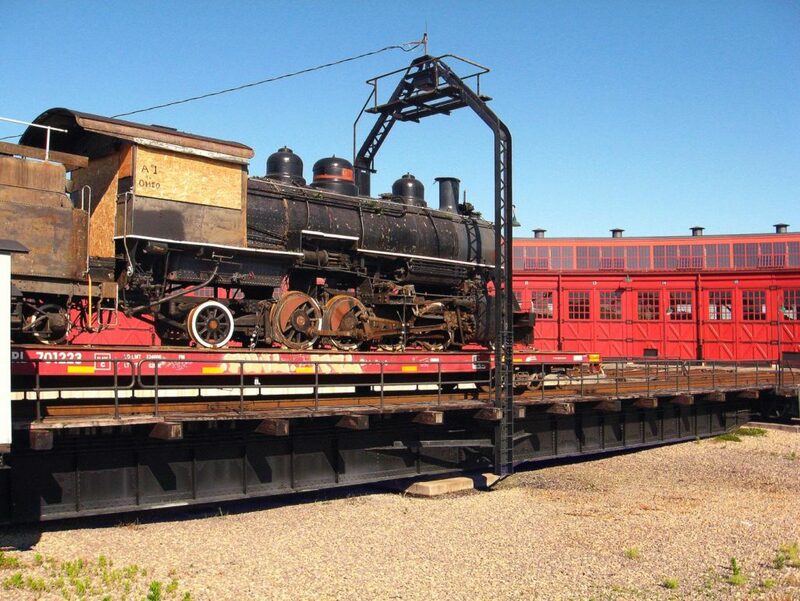 Upon arrival at the Age of Steam Roundhouse, No.19 and her flatcar were turned on the turntable in preparation for unloading early the following week. Completion of turning the locomotive and flatcar. Note the phrase “A #1 to Ohio” scrawled on the cab window’s plywood insert, a reference to No.19’s starring role in the 1972 film Emperor of the North. The C&C No.4 was subsequently sold during 1920 to the United States Smelting, Refining and Mining Company, where it worked out of Pachuca, Mexico, a silver mining region northeast of Mexico City. The R.L. Rowan was repainted black and re-lettered for the Cia de Real del Monte y Pachuca as its No.105. Around the time that the engine was sent to Mexico, it was apparently converted to burn oil instead of coal, this conversion happening perhaps prior to leaving Arkansas. After a four-year career in Mexico, No.105 was sold in 1924 to the McCloud River RR in northern California, which renumbered the 2-8-2 as its No.19. This 2-8-2 worked in regular service at McCloud until purchased by the Yreka Western three decades later. While owned by YW, No.19 was leased to the Oregon, Pacific & Eastern for summertime excursion service. 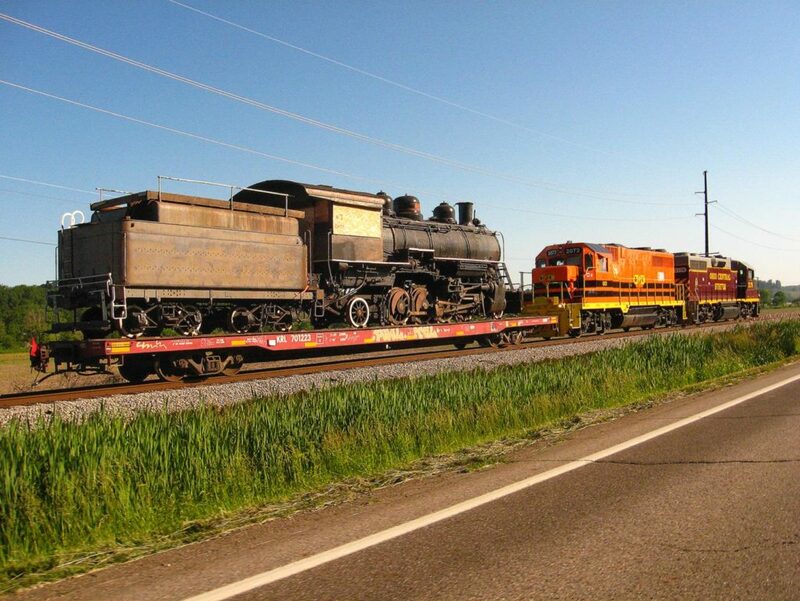 During No.19’s hiatus in Oregon, the 2-8-2 appeared in the 1972 feature film, The Emperor of the North, and in the 1986 movie, Stand By Me. Returned during 1988 to the Yreka Western, No.19 was overhauled and used in intermittent excursion service on YW until freight operations and summertime passenger excursions dwindled, and ceased altogether during 2008. As a valuable financial asset, the 2-8-2 was caught-up in a series of lawsuits, and stored at Yreka until the 2016 sheriff’s sale. That legal action permitted No.19’s title to be cleared, creditors paid and a new owner (Jerry Jacobson) secured. 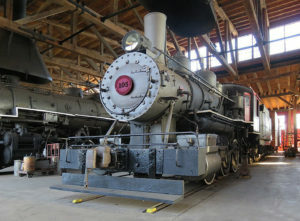 Interestingly, among Jacobson’s other locomotives safely stabled indoors at his Age of Steam Roundhouse is another former McCloud River Railroad old-timer, 2-6-2 No.9 built by Baldwin during 1901. A more detailed history and additional photos of 2-8-2 No.19 will be posted onto the Age of Steam Roundhouse website at a later date. 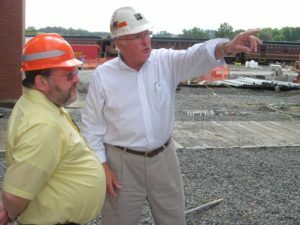 Constructed in 2010, The Age of Steam Roundhouse is a privately owned railroad facility and restoration shop designed to house and care for the historic railroad equipment collection of former Ohio Central Railroad owner Jerry J. Jacobson.